I often provide a safe shoulder to lean on. *Posted with permission. Talking my client through a birth via cesarean. Keeping her present and aware. *Posted with permission. Prenatal visits and phone / email service. After your free consultation, and you have decided to hire me as your doula, I will be available to you via email and phone during the daytime. If you have questions or concerns, you can just pick up the phone and ask that quick question. You decide how many prenatal visits we will have. It could be just one time after the interview, or you might want to meet up a few times, just so we can get more comfortable around each other. You also decide where you want to meet. Do you want me to come to your house, do you want me to come to a prenatal visit with you, take a tour of the birth center or hospital? Maybe we just meet for coffee. 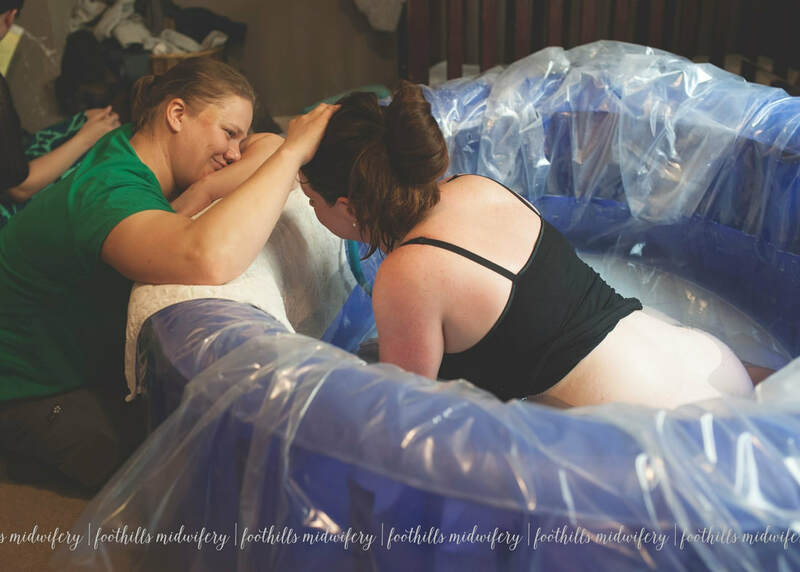 Supporting my client during a water birth at home. *Posted with permission. When you are three weeks from your due date I will be on-call for you. This means that you can call me at any time during the day and night when you think you might be in labor. You decide when you want me to come. It could be that I come to your home during early labor to help you ease into the thought that you are finally in labor. It could be later, when you are already in active labor and have arrived at your chosen place for delivery. I will come to you when you decide it is appropriate for your unique situation, and I will stay with you until some time after you have delivered. I will be there to support you and your partner emotionally during the whole process. I will give your partner a break if it's needed, and they can take a rest knowing that you are not alone. I will assist you in easing the pain with different positions and hands-on work. I will help you cope by guiding you in breathing and / or other techniques. I will make sure you stay hydrated by offering you drinks. Most of all I will just BE there for you and your needs, whatever they might be! After your baby is born I would love to come and visit so we can talk about the birth, and I can answer questions you might have. I will have suggestions and resources you might need or want. I am aware that many people want to come and see your new little family member, so I will make this visit short, if that is what you wish. I charge a flat fee of $1500. That includes everything mentioned above, and it will not change should you have a 5hr labor or a 30hr labor. Click HERE to see my availability. Serving: North of Seattle, including: Lynnwood, Mukilteo, Brier, Shoreline, Edmonds, Mountlake Terrace, Kenmore, Lake Forest Park; Seattle, including neighborhoods such as: Magnolia, Queen Anne, Ballard, Fremont, Ravenna, Green Lake, and more; West Seattle, Burien, Tukwila, Kent, Federal Way, Auburn, Des Moines, Tacoma; East side, including: Issaquah, Factoria, Eastgate, Sammamish, Mercer Island, Kent, Renton, Redmond, Bellevue, Kirkland, Bothell, Woodinville and everywhere in between. I attend births at: Overlake Medical Center in Bellevue, Evergreen Hospital Medical Center in Kirkland, Northwest Hospital in Seattle, Swedish Medical Center Ballard, Swedish Medical Center Edmonds, Swedish Medical Center First Hill, Swedish Medical Center Issaquah, UW Medical Center - University of Washington in Seattle, Valley Medical Center in Renton, Highline Medical Center in Burien, St Joseph Medical Center in Tacoma, Tacoma General Hospital in Tacoma, Puget Sound Midwives & Birth Center in Kirkland, Puget Sound Midwives & Birth Center in Renton, Sprout Birth Center in Mountlake Terrace, Center for Birth in Seattle, Eastside Birth Center in Bellevue, Cascade Midwives & Birth Center in Everett, Seattle Home Maternity Services in Seattle, Foothills Midwifery in Enumclaw, The Birthing Inn in Tacoma, and all home births in the greater Seattle area. You can read full length, and more testimonials here. "I appreciated so much about her presence, her expertise, and her warm and caring personality throughout my labor... She was so considerate, thoughtful, and loving and I felt perfectly comfortable with her the whole time and she knew exactly what to tell us at each moment." "I loved her witty sense of humor that helped me stay relaxed and at times even smile and giggle through the labor which worked as a huge breather!" "Matilda is not only a professional doula but her passion and her heart to help pregnant women seep through her words and actions." "I recommend her with no reservations whether you're interested in doula service or not, because you will only be so thankful that you did. She will help you "enjoy" your delivery and make it a most memorable one. I can't thank her enough for that." "Matilda has a very gentle, nurturing approach, just what a laboring woman needs during childbirth. She was there not only for me, but for my husband too, who also needed guidance through this unfamiliar experience." "She was very professional at our prenatals and she really listened to what I wanted for my birth." I felt very safe and supported going into my birth with Matilda. From the moment she arrived during labor, she was hands-on. She remembered everything I asked for prenatally and worked very hard to help me achieve those things." "When my baby was in a funky position and labor was moving slowly, Matilda knew what to do immediately. She was very focused throughout the entire process and I was very glad to have her there!" " Due to some complications, we had to have an unplanned, urgent caesarean with about 30 minutes notice. Matilda rushed to the hospital to be with us. She held my hand throughout the surgery. She stayed with me as my husband went with our son to the NICU and was able to give me updates on his (healthy!) status while I was in recovery." "From the moment I went into labor, Matilda was there on the phone, advising me what to do. She made me very comfortable to call under any instance." "My whole labor lasted 46 hours and Matilda stayed with me the whole time." "Matilda has such a soothing presence that I never felt down for being at the hospital after our much wanted home birth didn't go as planned. She was there until the last minute when our baby was falling asleep after eating, and everyone else had gone home"
"Matilda is compassionate, knowledgeable, sincere, supportive, honest and has a good sense of humor." "During pregnancy she was always there to answer our questions and concerns. During our labor and birth she proved indispensable! She was there exactly when we needed her and helped me through the pain with supportive words and back massage and hip squeezes that helped alleviate the pain." "She was wonderful at being able to tell what I needed from her and giving it to me. It was her voice that calmed me and reminded me to breathe and drink water when I needed to. She worked wonderfully with my husband, too, including him in everything so he never felt like she was taking over." "As soon as we met Matilda we felt much less anxious about labor and birth. She had all of the qualities we were looking for: self assured, compassionate, sense of humor, but most important we both felt at ease in her presence. She has a very calming nature." "I cannot imagine giving birth without her. Matilda helped us through it all; she massaged, used pressure points, lit battery candles, and much more. She was a wonderful calming presence throughout. She stayed with us for about 30 hours." "I do not believe it would have been the same positive experience without her compassion, encouragement, support and don't forget those wonderful pressure points. Love her. I wouldn't go through the experience again without her. Hire her you, will be so glad you did." "Matilda was amazing and I have to say without her support we would not have had such a smooth and satisfying experience. Having her with us in the early stage of labor at home made us not to rush to the hospital too early and were able to have more relaxing hours of labor in our house. She was very helpful with her various pressures, positions and breathing techniques – especially as my birth was all natural without the use of an epidural or other drugs. After the baby was born Matilda helped to start nursing as soon as possible." "My husband and I had no idea how much Matilda would positively affect our labor experience." "She’s the perfect balance of professionalism, humor, compassion, warmth, and knowledge." "Matilda assisted us with a 30 hour natural labor that ended in a C-section. She provided much needed support physically and emotionally during and between contractions for hours upon hours, helped us come to terms with the c-section that had become necessary, and supported both of us during the actual c-section." "Looking back, there is no part of our labor story that we would have wanted to experience without Matilda. She is invaluable." "Matilda is the doula you want to press on your back during contractions, to talk you through the moments you don’t think you can make it past, to stand up for your birth choices, and to keep everyone in good spirits." "Matilda has found her calling and we are all lucky she has." "Matilda is warm and reassuring and full of good knowledge and information. If she had not told me what to look for as detailed signs of early labor, I would not have been prepared for my birth." "She was at the hospital to help me within the hour once I called her, and she came prepared! 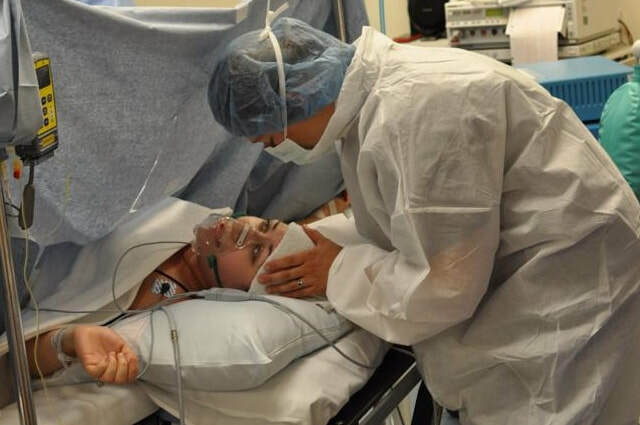 She was there to talk me through that difficult day and a half of labor, and to walk me through the changes and physical preparation to deliver my baby in a calm, caring manner." "I am grateful for her in every sense of the word. She was also a wonderful support person to my husband." "Matilda was ready to support right off the bat! She put pressure on my hips during every contraction and it really felt great. There wasn't one moment when I needed her that she wasn't there. She constantly gave me words of encouragement that helped me to keep going." "My husband and Matilda together made the perfect team for me and he was very impressed with Matilda's ability to sooth us both. Matilda is very professional and her ability to sooth helped us to have an amazing birth experience. Thank you Matilda!" "Matilda worked to make the experience the best possible and one to always remember without fear and with a lifetime memory to cherish." "Matilda is a wonderful doula. My husband and I enjoyed her sense of humor, her calm demeanor, and her willingness to be as present as we desired. When we needed her, she was there. When we wanted space/privacy, she was also very respectful of that." "We had the pleasure of using Matilda for our home birth. Suffice it to say, Thank Goodness she was there. My wife's labor went MUCH faster than everyone expected, and Matilda ended up coaching her through the whole process - and catching the baby as well! The baby came so fast our midwife couldn't make it in time, so Matilda communicated with our midwife through speakerphone. Throughout the whole thing, she was calm and collected. I - on the other hand - was a wreck. But Matilda maintained her cool."